Insurance group: 18 - 21 How much is it to insure? 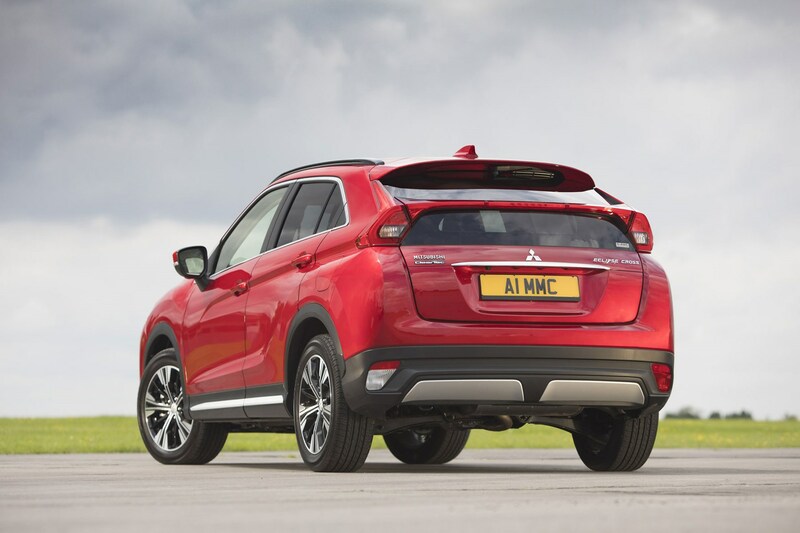 Mitsubishi is expanding its already-comprehensive SUV line-up with the Eclipse Cross. 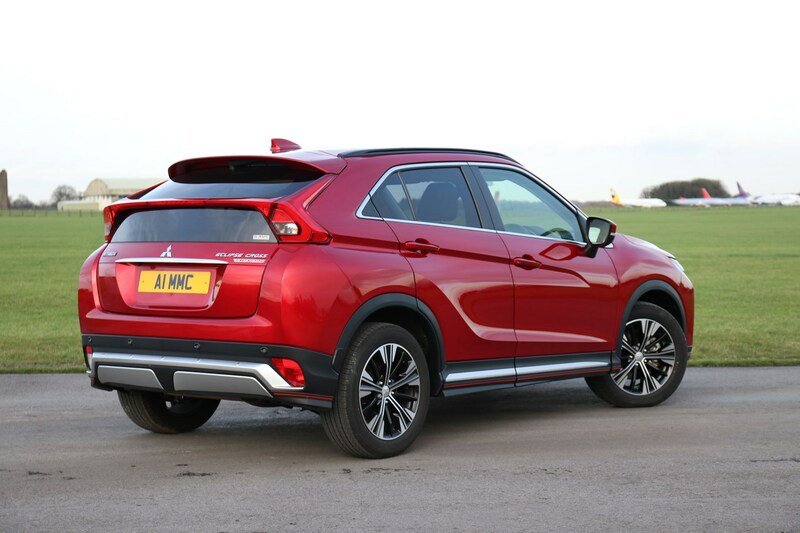 The clue is in the name – this is more a crossover than full-blown off-roader, but being a Mitsubishi means four-wheel drive is available as you’d expect. 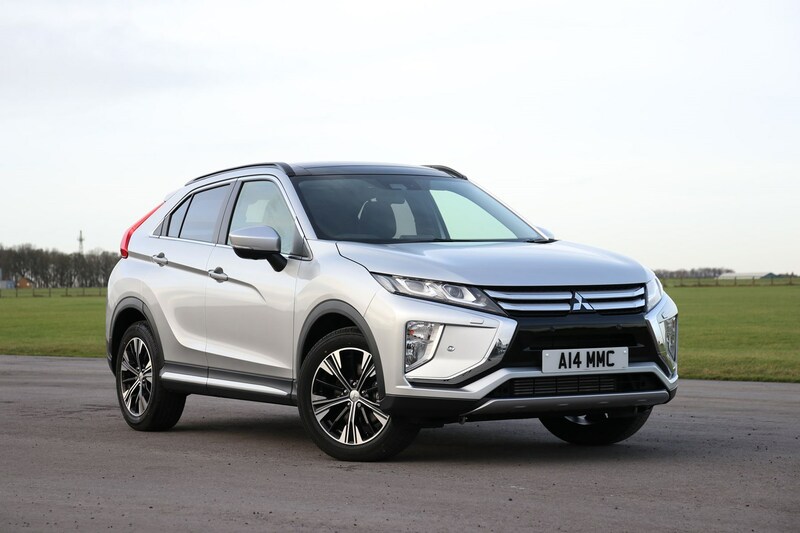 Size- and price-wise, it sits between the ASX and Outlander (albeit slightly narrower than the former), taking on popular crossover rivals like the Nissan Qashqai, SEAT Ateca, Peugeot 3008, Toyota C-HR and Kia Sportage. 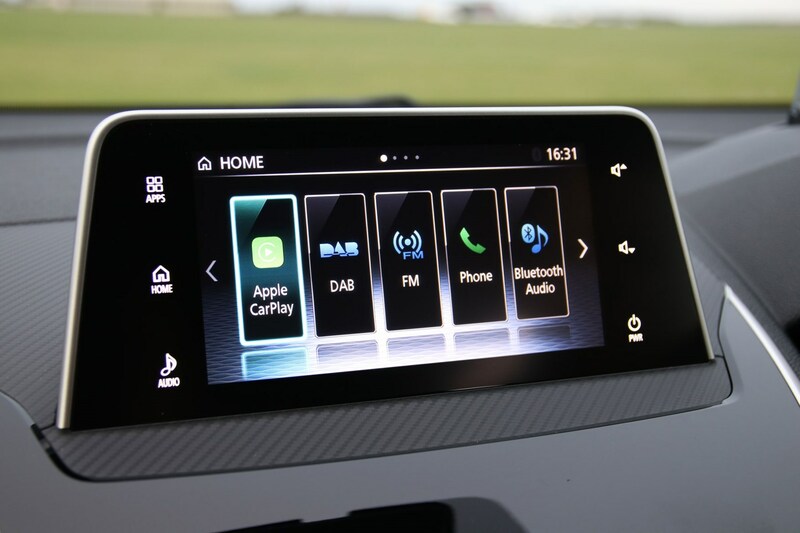 It certainly looks the part, with some distinctive design details like a split rear-screen – the kind you’ll see on a Honda Civic or Toyota Prius – and Mitsubishi’s latest corporate grille, flanked with slim LED headlamp units and lashings of chrome. 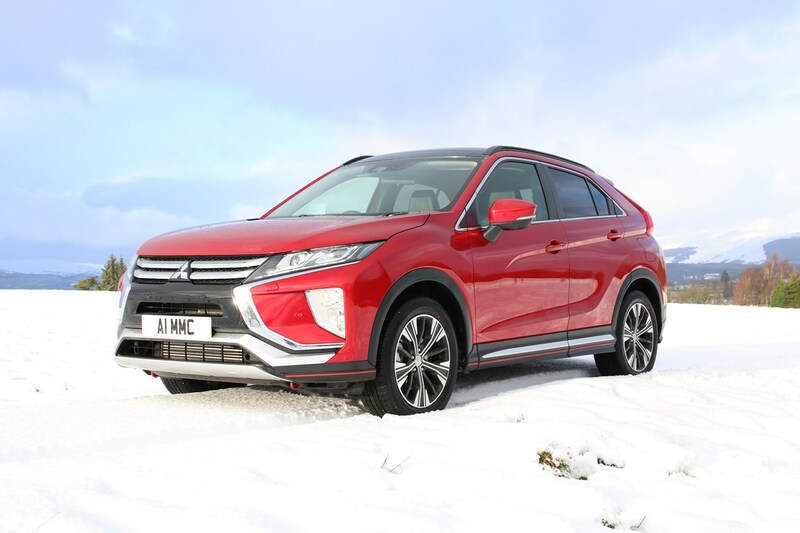 But it retains Mitsubishi's core values: variable four-wheel drive and the promise that this SUV will survive a particularly testing winter. 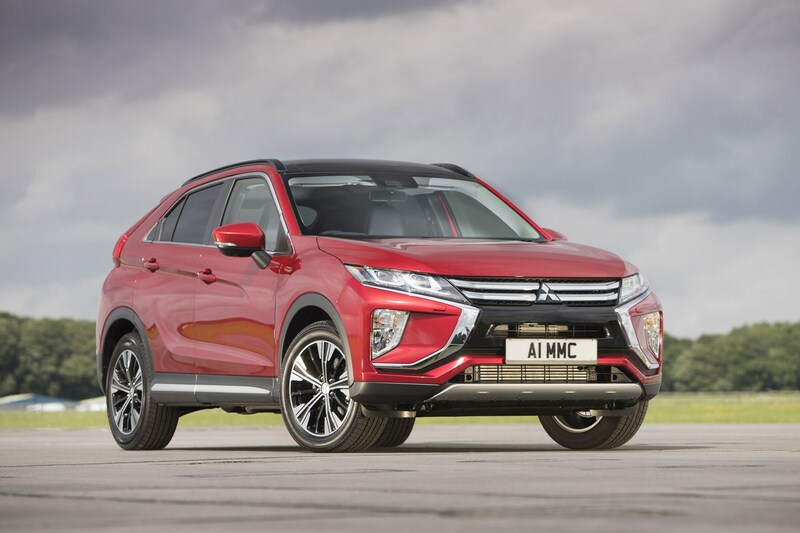 The Eclipse Cross is hallmarked by a stylish, angular look that has it standing out from the crowd, although, front on, it's very similar to other offerings from Mitsubishi, with an evolution of its current design language. 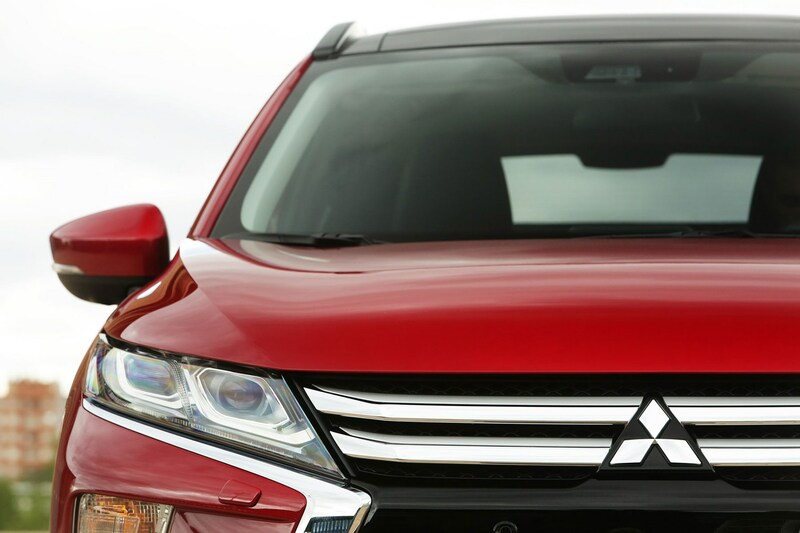 The nose is rugged, geometric and largely faithful to the Mitsubishi family face, but it's entirely different from the middle of the car backwards. The roofline drops sharply, then a pronounced body slash zips in the opposite direction. Round the back you find a tailgate with a split glasshouse. The overall effect is very striking, but it might not suit all buyers’ tastes. 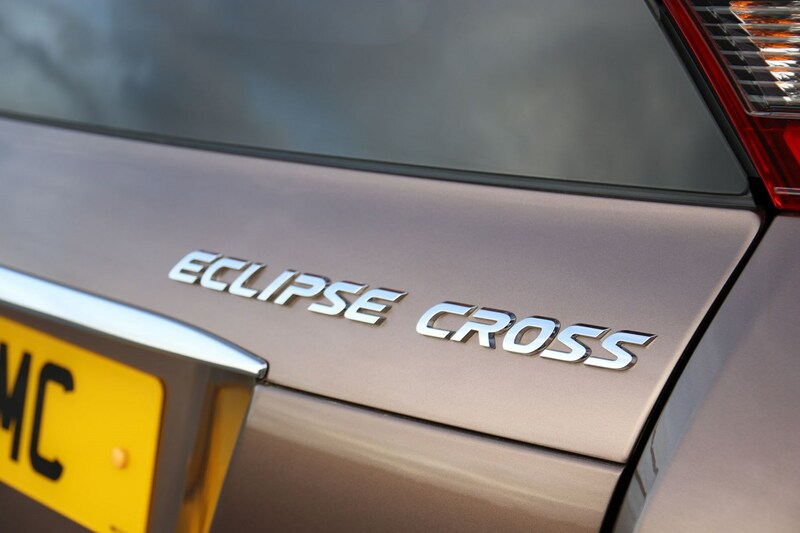 Unlike many offerings in this highly competitive market sector, the Eclipse Cross is available with an electronically-controlled four-wheel drive system with variable torque split – in other words, it sends a different amount of power to the rear wheels compared with the fronts depending driving conditions. 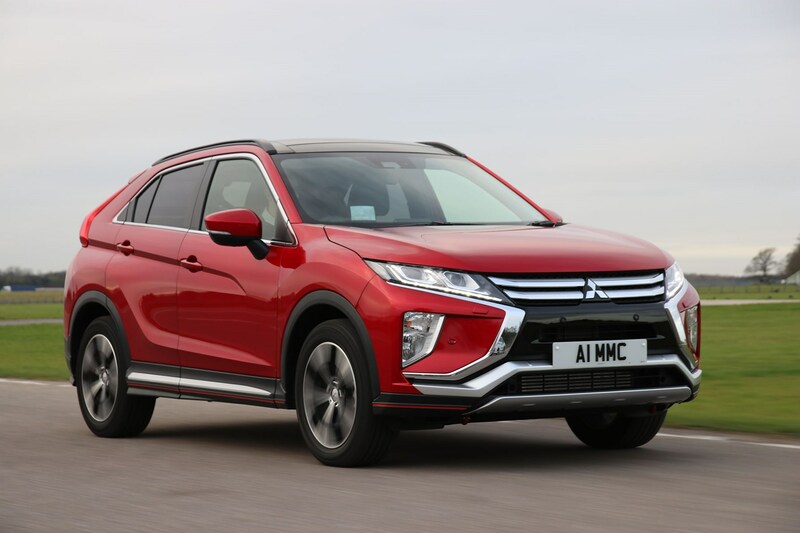 The Eclipse Cross is powered by a new 1.5-litre direct-injection turbocharged petrol, available with a choice of six-speed manual (front-wheel drive) and new CVT transmission that simulates a regular eight-speed automatic set-up (available with front- or four-wheel drive). 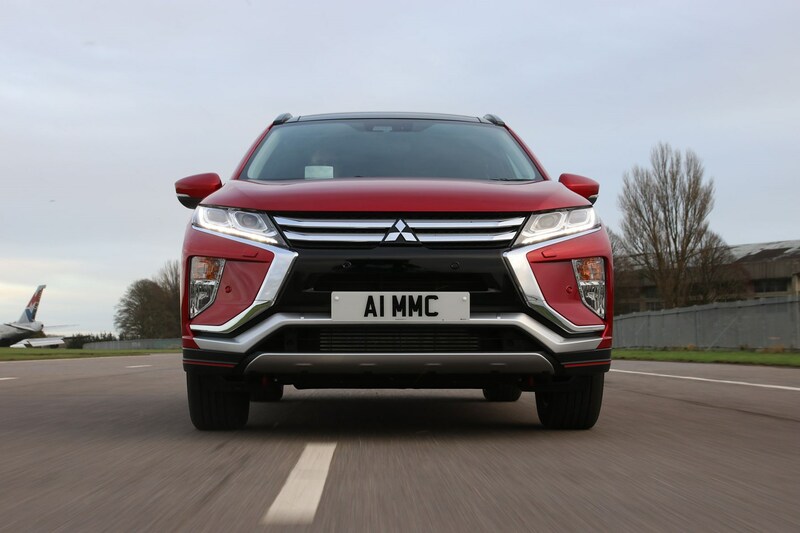 A new 2.2-litre diesel engine is under development by Mitsubishi, but it’s unconfirmed whether the Eclipse Cross will be available with this engine in the UK as yet. 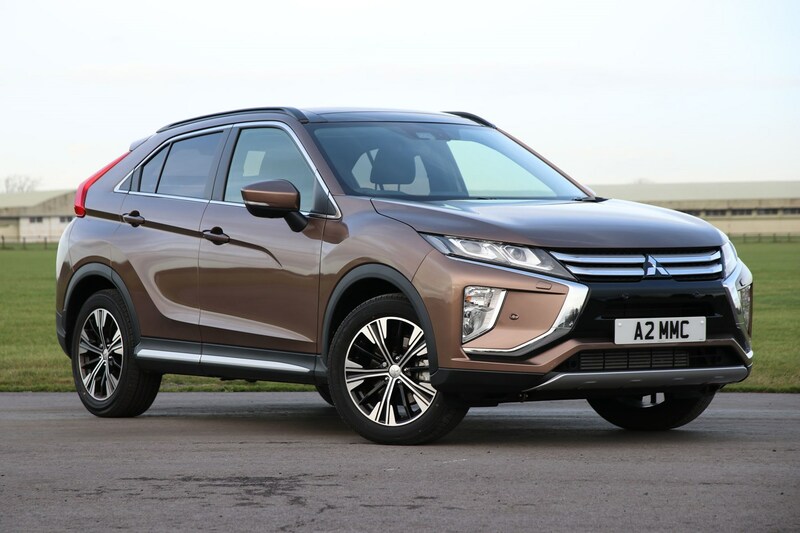 It’s also expected the Eclipse Cross will be available as a plug-in hybrid down the line, a no-brainer considering the success of the larger Outlander PHEV. 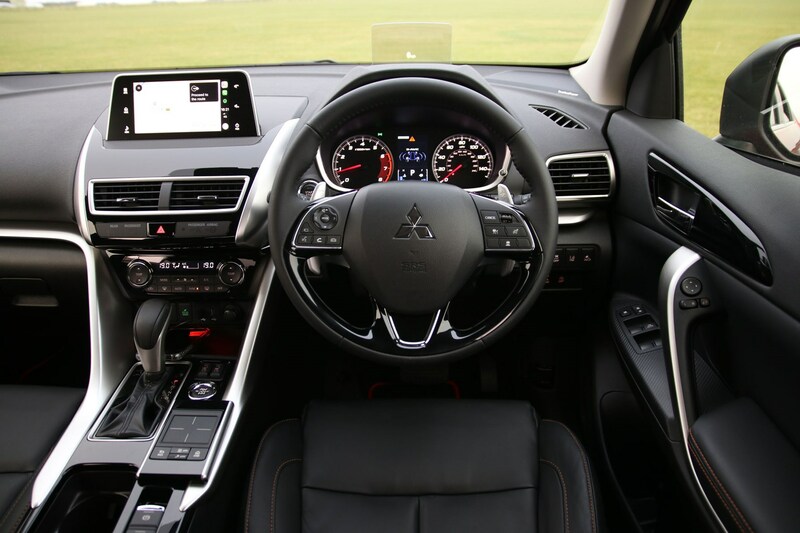 Jump into the driver’s seat and there’s a striking similarity with the Lexus NX – at least in terms of the dashboard design. 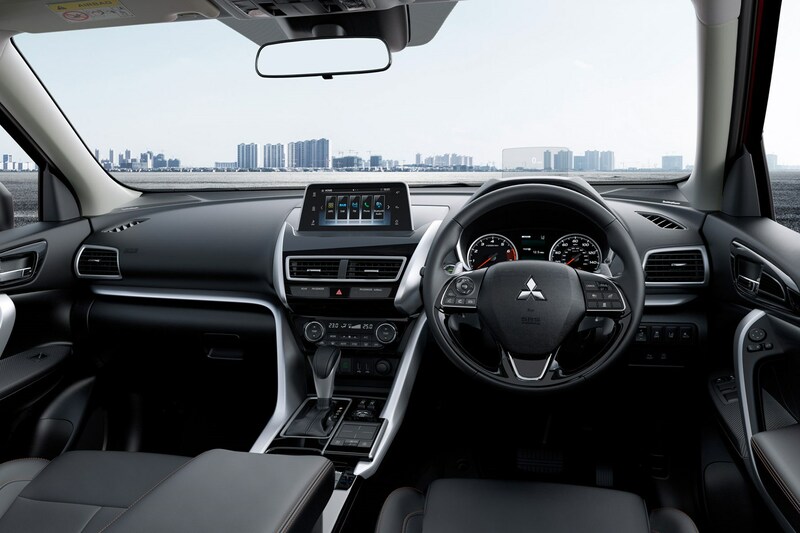 It feels an airy car with comfortable seats and a commanding driving position. There’s a decent amount of space for the family, with lots of adjustment for the rear seats, too. It’s not quite as spacious as something like a Hyundai Tucson or SEAT Ateca, but it’s not far off. 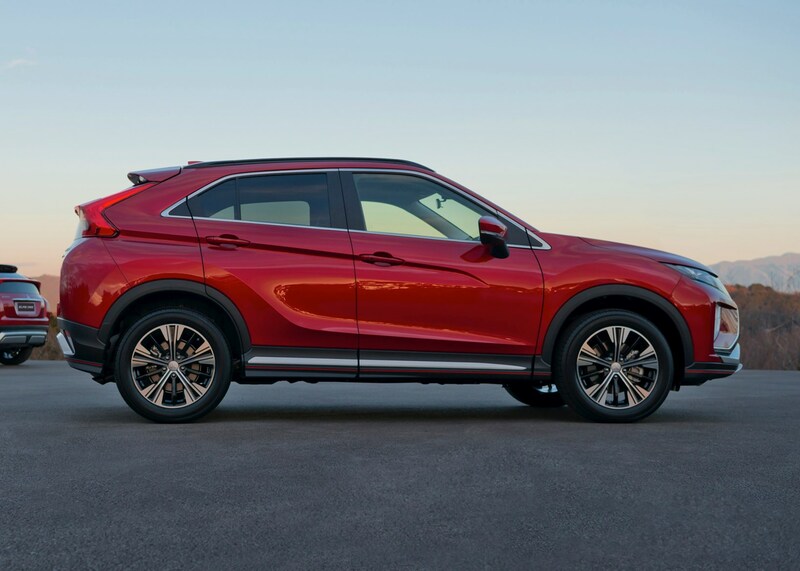 The raked roof and narrow windows do impinge a little on rearward visibility, and may make some tall passengers claustrophobic, though the seat back can be reclined (and seat base slid forward). The boot is wide but shallow, with that sloping rear screen impeding on overall space if you intend to transport taller items. 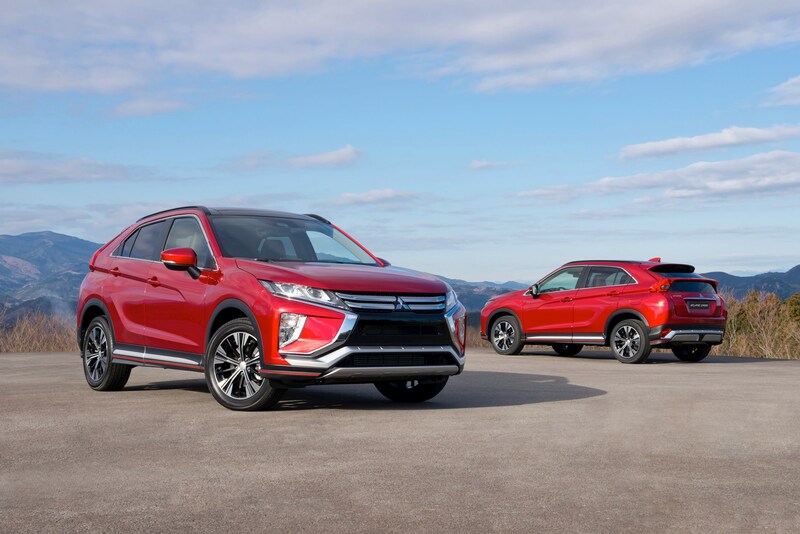 Mitsubishi makes some bold claims about the Eclipse Cross’s driving dynamics due to its rigid body structure – enabling it to offer sharper handling, more direct steering and more sophisticated suspension. 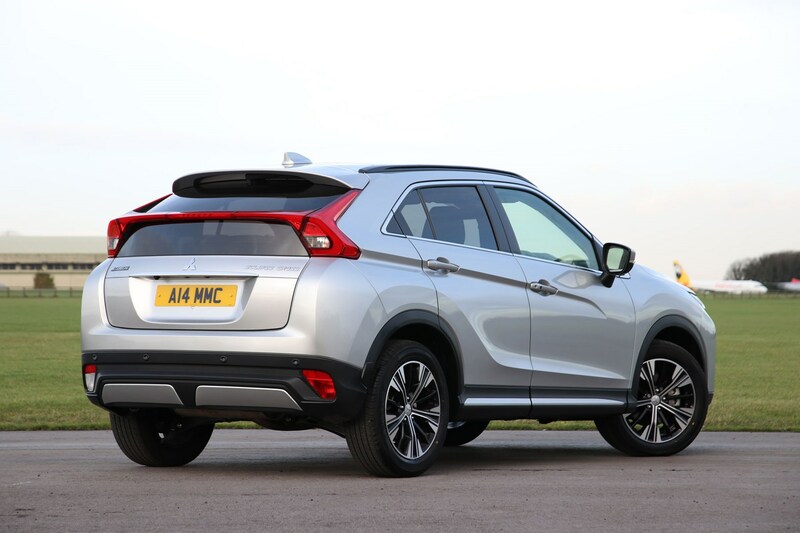 In reality, it feels agile – the manual more enjoyable than the CVT – and is one of the better crossovers to drive. However, the ride can feel quite fidgety on Britain’s less-than-perfect road surfaces, but it’s never uncomfortable. Any din coming from the 163hp 1.5-litre turbocharged petrol engine is very well suppressed – although there’s a noticeable amount of wind noise on the move. 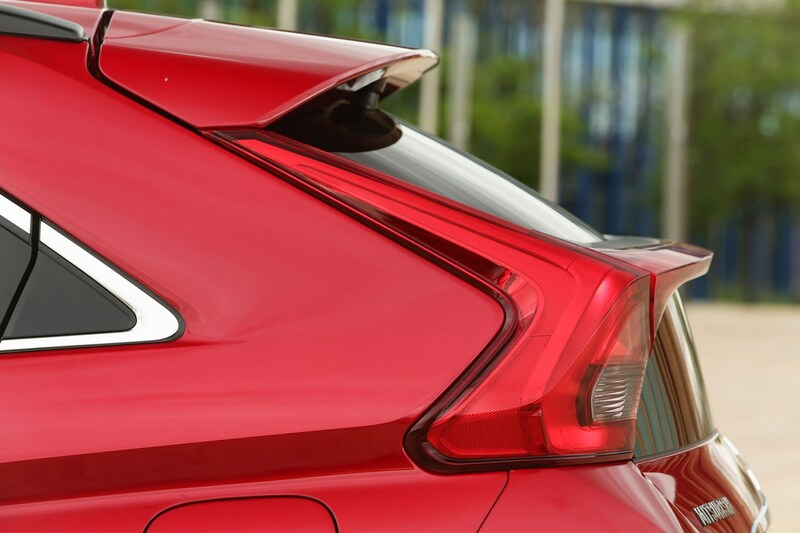 That’s due to the car’s large door mirrors, and you also notice some whirring around the sunroof and roof bars. 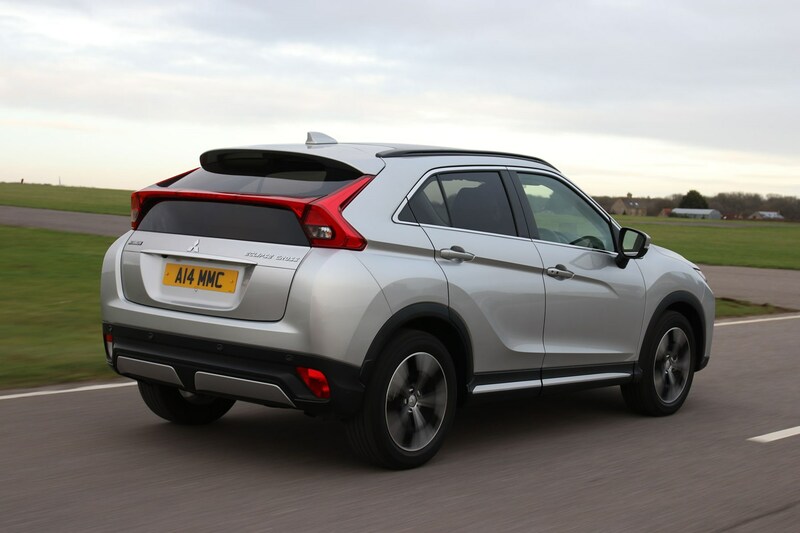 Like its contemporaries, the Eclipse Cross achieved a full five-star crash-test rating from Euro NCAP at the end of 2017. 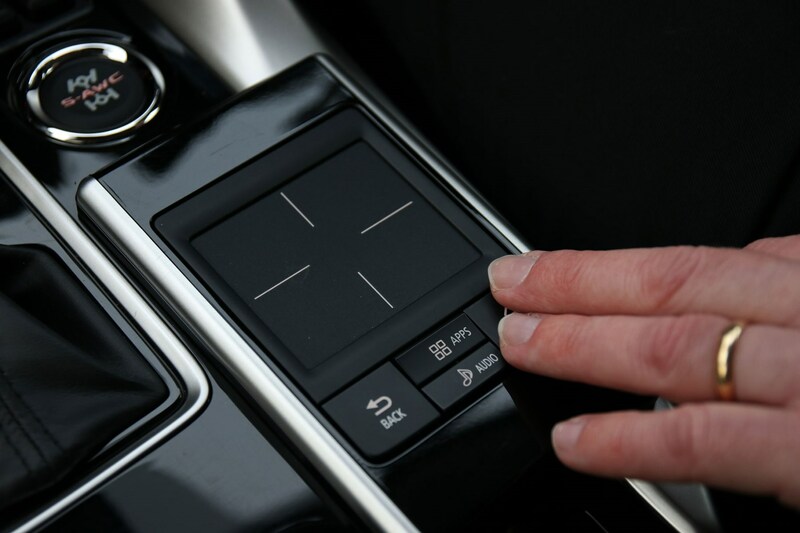 You get autonomous emergency braking (AEB), active cruise control which brakes and accelerates the car in traffic, a warning chime if you veer out of lane and seven airbags. There’s even an optional head-up display. 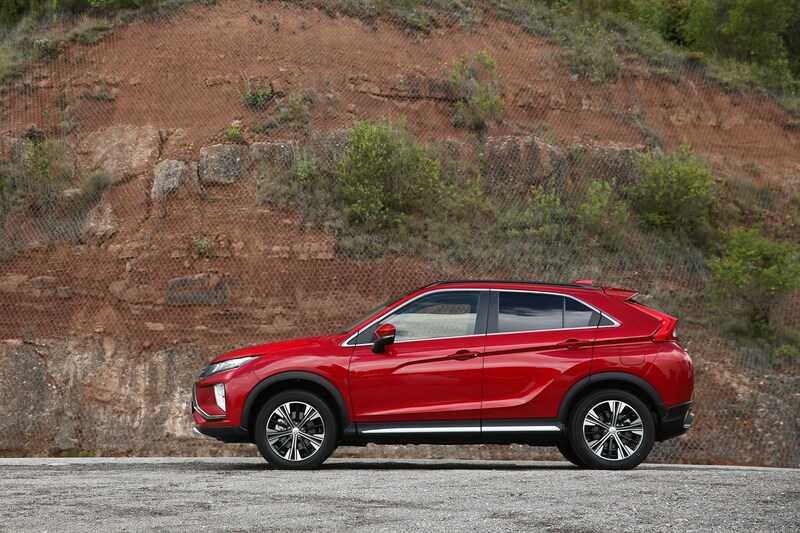 The amount of options for potential crossover buyers is growing by the week. 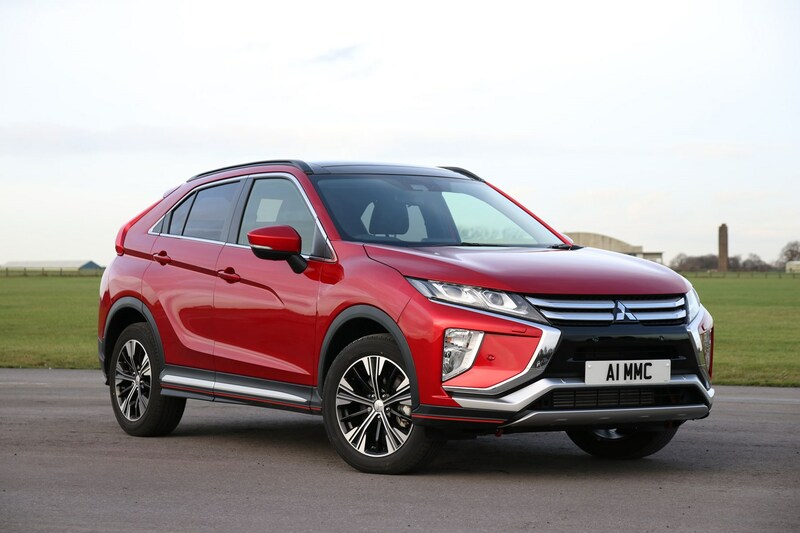 The Mitsubishi Eclipse Cross stands out with eye-catching looks, a punchy turbocharged petrol engine, and the option of four-wheel drive. It’s not cheap to buy, but it does come packed with a lengthy list of standard equipment – much of which is advanced safety kit. It’s good to drive, if not as comfortable as a Skoda Karoq or as sharp as a SEAT Ateca. It sits somewhere in the middle ground feeling agile and responsive, but by no means the best in class. Enthusiasts will probably find the drive a little frustrating. 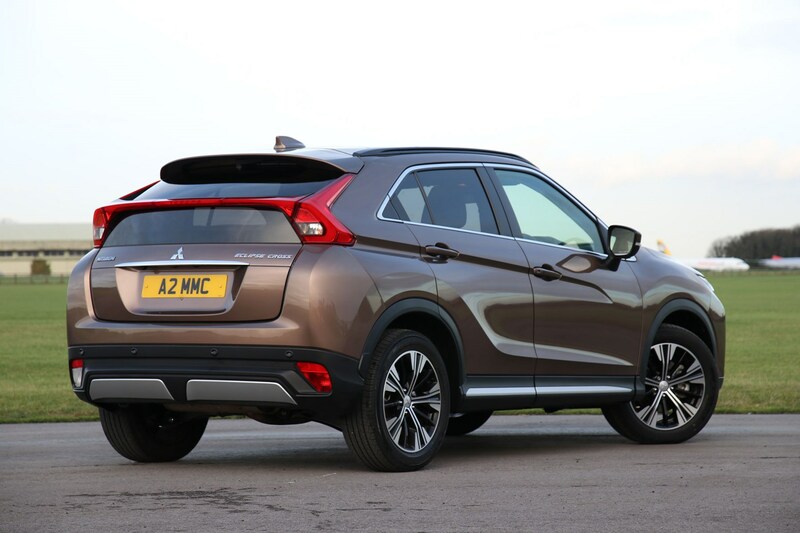 But families looking for a spacious, civilised and iconoclastic compact SUV now have a new contender to consider, from a brand with true 4x4-pedigree.